The town of Longueau is situated on the south-eastern outskirts of Amiens and the British Cemetery is on the eastern side of the town. Leave the Amiens orbital bypass at Junction 34 towards Longueau on the N29. The cemetery is located on the left hand side of this road approximately 1 mile after leaving the bypass. 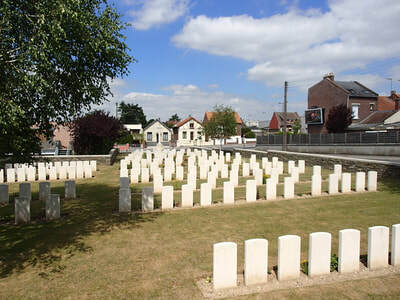 BLANGY-TRONVILLE FRENCH MILITARY CEMETERY and COMMUNAL CEMETERY EXTENSION. These were really one cemetery, on the North side of Blangy-Tronville Communal Cemetery. They contained 84 French graves (now removed to Montdidier French National Cemetery) and those of nine soldiers from Australia and five from the United Kingdom, who fell, for the most part, in July 1918. 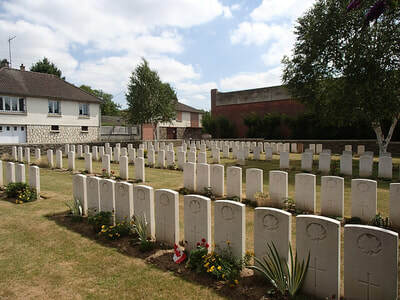 COTTENCHY CHURCHYARD EXTENSION, which contained the graves of 555 French soldiers, three German prisoners, one soldier and two airmen from the United Kingdom and one airman from Canada. 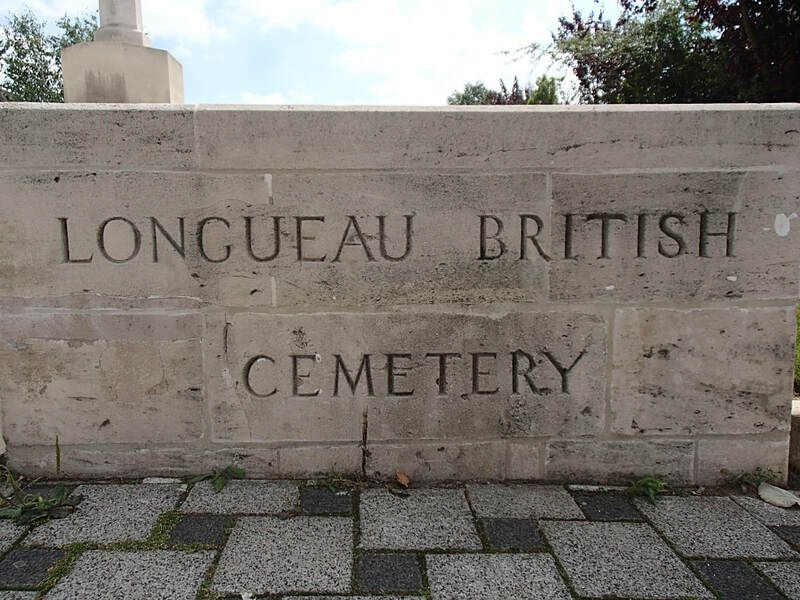 Longueau British Cemetery contains 204 First World War burials, 14 of which are unidentified. 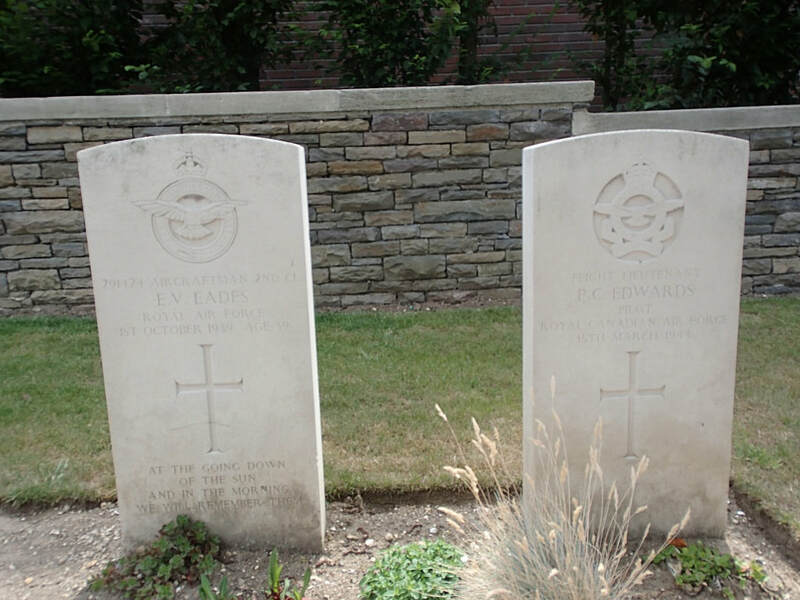 Two Second World War airmen are also buried in the cemetery. Son of James and Margaret A. Carraill, of 53, Regent St., Kensington, South Australia. Native of Tongkillo, South Australia. 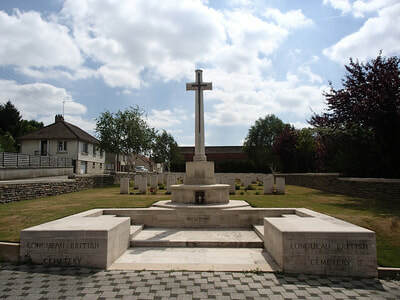 Two brothers, Leslie and Stanley were also killed and are commemorated at Peronne Communal Cemetery Extension and on the Villers-Bretonneux Memorial respectively. ​His headstone bears the inscription; "Greater Love Hath No Man Than This He Gave His Life For His Friends." 7th August 1918, aged 29. Son of Mrs. John Fallon, of Whitby, Ontario. Son of Prosper L. and Sophie Gallant, of Abram's Village, Prince Edward Island. 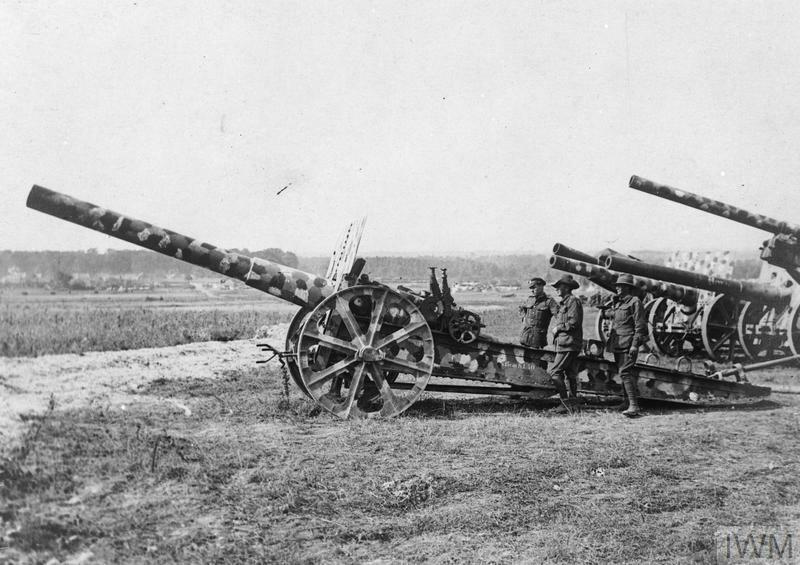 8th August 1918, aged 21. Son of Henry Arthur and Elizabeth Mary Hambidge, of Harvey St., Woodville Park, Kilkenny, South Australia. Native of Adelaide. 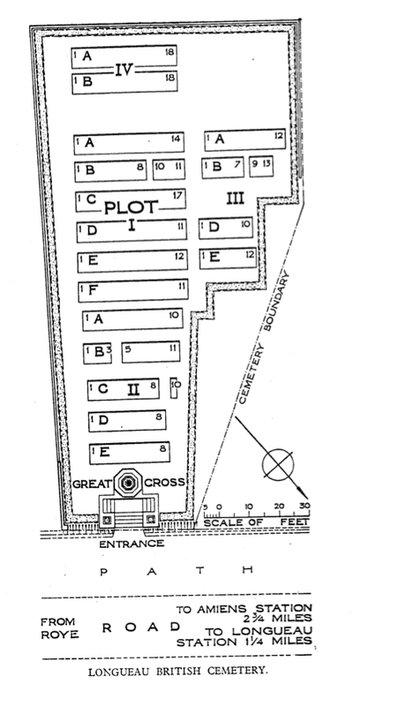 ​His headstone bears the inscription; "He Hath Chosen The Better Part." 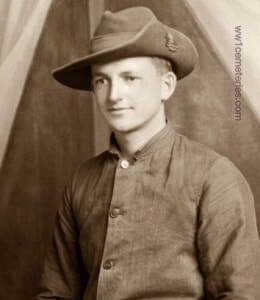 A law student from Grange, SA prior to enlistment, Pte Hambidge was a prolific writer of prose and verse and originally served as a Driver with the Royal Australian Navy Bridging Train at Swan Island before transferring to the AIF after his unit was disbanded. 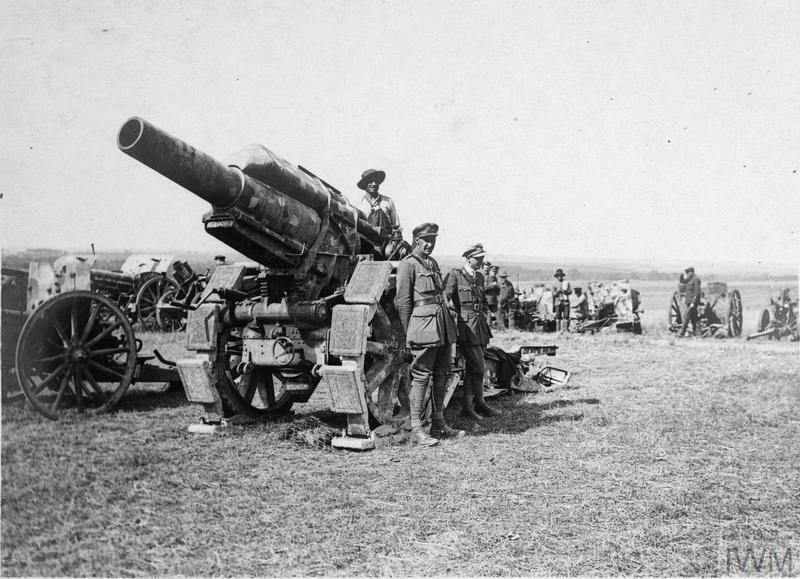 He embarked for overseas service with the 10th Reinforcements, 46th Battalion on HMAT Nestor on 28 February 1918. 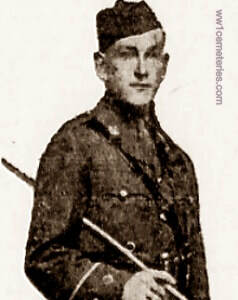 On 8 August 1918, aged 21, he died of wounds received in action. Son of William and Tane Hetherington. His headstone bears the inscription; "He Heard His Country's Call." 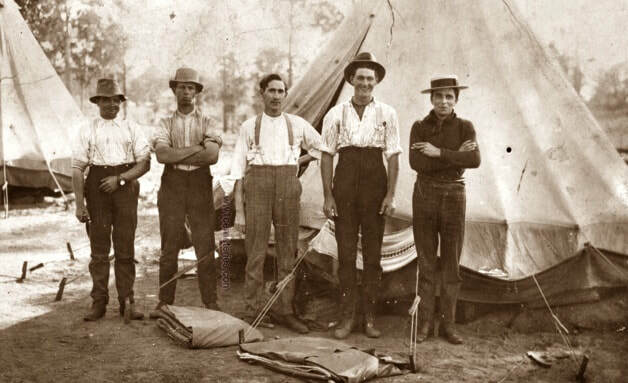 Enoggera base camp, Queensland, 5th August 1915. A group of recruits of 31st Battalion A. I. F. pictured in training camp, with Private Albert Hetherington second from left. ​Albert Hetherington was fatally wounded on 8th August 1918 during his battalions' advance at Warfusee, he died at the main dressing station as a result of shrapnel wounds to both buttocks. 8th August 1918, aged 22. Son of Mr. and Mrs. Charles McLearn (nee Madill), of 228, Walnut St., Winnipeg, Manitoba. Bartlett McLennan, D. S. O. 3rd August 1918, aged 49. Son of Hugh McLennan and his wife, Isabella Stewart, of Montreal. His headstone bears the inscription; "Great Peace Have They Which Love Thy Law." 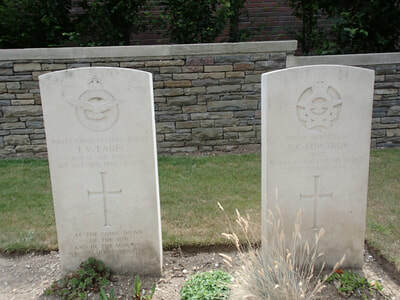 Original grave markers of two graves in the Longueau British Cemetery, France. On the left is: 1725 Corporal (Cpl) Allen Andrew McInnes, MM, 18th Battalion, who was killed in action on 28 June 1918, at Villers-Bretonneux, France, aged 33 years. A master butcher of Lake Cargelligo, NSW, prior to enlisting on 20 May 1915. McInnes embarked with 2nd Reinforcements, 18th Battalion, from Sydney on 19 June 1915 aboard HMAT Kanowna. 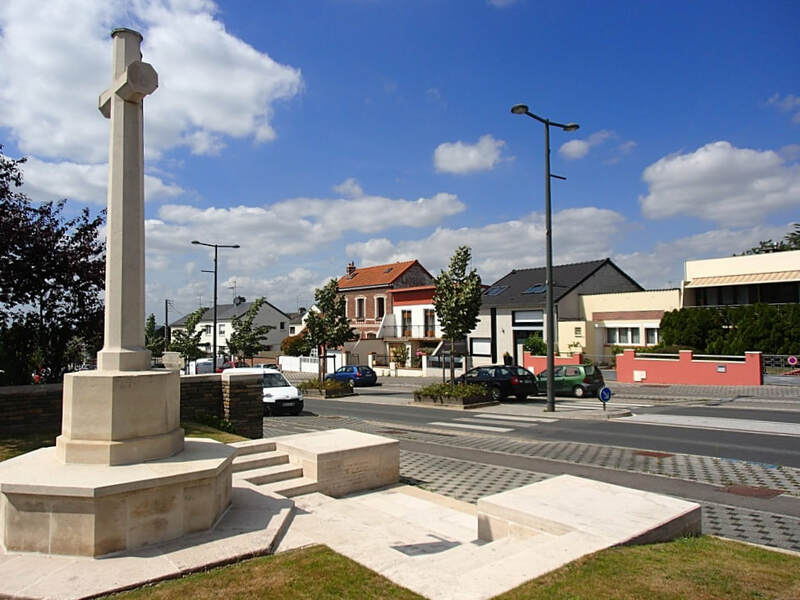 He was awarded the Military Medal on 25 September 1917 for his excellent work on three consecutive nights, 17th, 18th and 19th September 1917 near Westhoek where he guided packhorses and limbers carrying bombs, water and rations forward under continual shell fire. On the right is: 5 Corporal (Cpl) James Chalmers, 18th Battalion, who died of wounds on 29 June 1918, in France, aged 44 years. A farmer of Temora, NSW, before enlistment on 30 June 1915. Chalmers embarked with the Transport Section of the 18th Battalion, aboard HMAT Ceramic on 25 June 1915 from Sydney. 20th July 1918, aged 29. Son of Matilda Rayner, of Victoria St., Eaglehawk, Victoria, Australia, and the late John Rayner. His headstone bears the inscription; "Nearer My God To Thee E'en Though It Be A Cross That Raiseth Me. "​ From the hymn; Nearer, My God, To Me by Sarah Flower Adams. 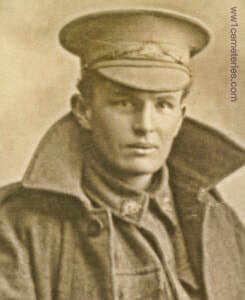 A miner prior to enlistment he embarked from Melbourne with the March 1917 Reinforcements of the Tunnelling Companies on board HMAT Themistocles (A32) on 4 August 1917. 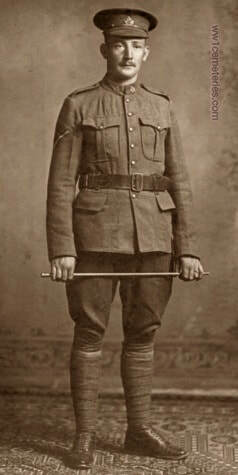 Pte Rayner was taken on strength and transferred to the 2nd Pioneers Battalion in November 1917. 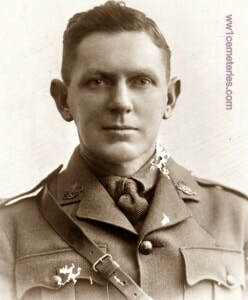 He was wounded in the neck at Villers Bretonneux and was admitted to hospital; he later died on 20 July 1918, aged 29. 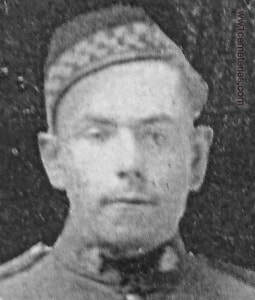 Fred Rayner was mortally wounded by a single shot fired as he was returning from digging trenches at about 2.a.m. 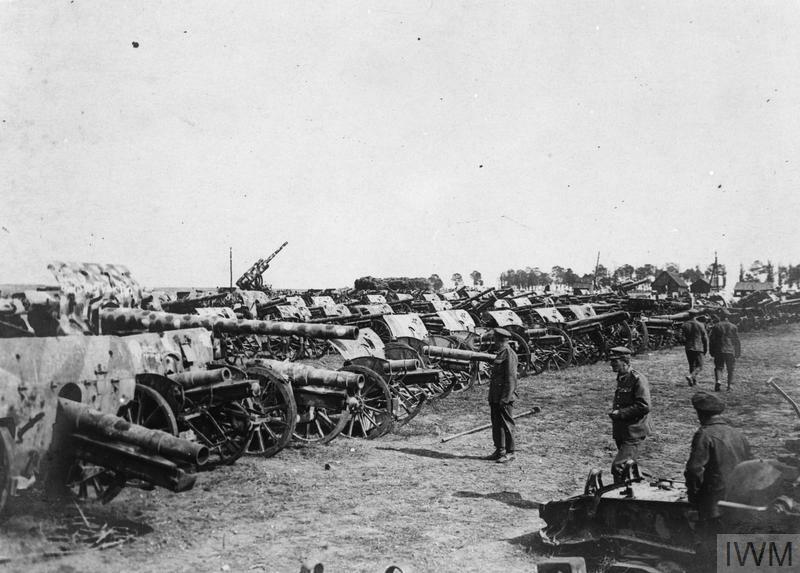 on 20th July 1918. He was taken to No. 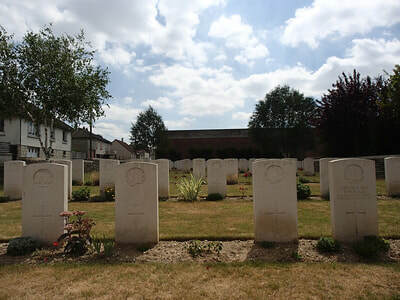 6 Field Ambulance where he died as a result of a gun shot wound to the mouth. 9th August 1918 aged 23. Son of Daniel and Isabella Ross, of Decker, Manitoba. Native of Orrwold, Manitoba. 16th August 1918, aged 28. Son of Edward T. E and Lucretia Runnalls, of Harold, Ontario. His headstone bears the inscription; "At Rest But Not Forgotten By Mother." 10th November 1918, Longueau, France; Group portrait of the Officers and Other Ranks of a 5th Australian Divisional Trench Mortar Battery. Left to right, back row: Gunner (Gnr) Osborne; Gnr J. Thompson; Bombardier (Bdr) J. H. Hume; Gnr Tomlinson; Bdr Flinn; Gnr Turner (died of sickness); Gnr Leach; Gnr Wolstoncroft; Gnr Gilmore; Gnr Schwalbach; Gnr Eagleton; 30948 Bdr J. H. Roche; Corporal (Cpl) E. Wiber DCM. Third row: Gnr Bailey; Cpl Wood; Gnr Brown; Gnr Norton; Gnr Braund; Bdr Dixon; Bdr Farrar; Cpl Dixon; Gnr Hux; Gnr A. W. James; Cpl W. Freemantle MM; Gnr Oates. Second row: Sergeant (Sgt) Coleman (sitting slightly forward); Gnr C. J. Innes; Gnr R. C. Smith; Gnr Garlings; Gnr L. Bennett; Gnr Wignal; Gnr J. Greer; Gnr Dalziel; Bdr Baker; Gnr J. Hamilton; Gnr R. Nicholls; Gnr Bowdrige; Gnr T. McDonald; Bdr Wellard; Gnr Watson; Sgt Anderson. Front row: Gnr C. N. Bonniface; Gnr F. Green; Bdr Walker; Gnr J. T. Turner; Gnr L. T. Trotter; Gnr Flint; Cpl Allen; Gnr P. Cowan; Lieutenant (Lt) L. G. Sanders; Lt O. Taylor; Captain (Capt) A. G. Macallister MC DCM; Capt E. Ferguson MC; Lt Forrest; Lt N. Scott; Cpl R. Street MM; Bdr Stevenson; Gnr Williams; Gnr McDougall. 4th July 1917, aged 27. Son of Arthur George and Mary Clarissa Shelley, of Mills Rd., Gosnell's, Western Australia. Native of Kerang, Victoria. His headstone bears the inscription; "To Live In The Hearts Of Those We Leave Behind Is Not To Die." 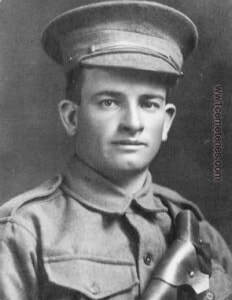 He worked for the Western Australian railways as a fireman before enlisting on 12 May 1915. He embarked from Fremantle on HMAT Ascanius with C Company, 28th Battalion, on 29 June 1915, as a Private with the service number 1108. 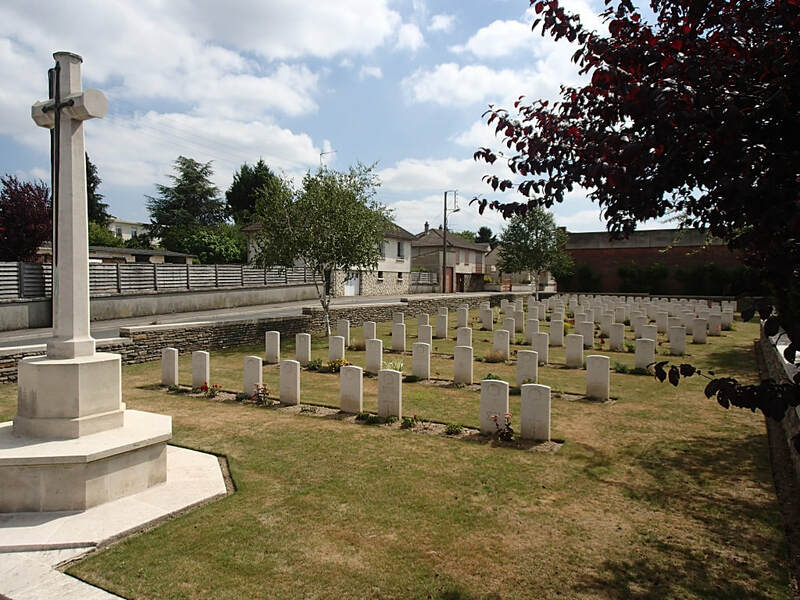 He was promoted to Lance Corporal on 23 September 1915 and to Corporal on 25 December 1915. 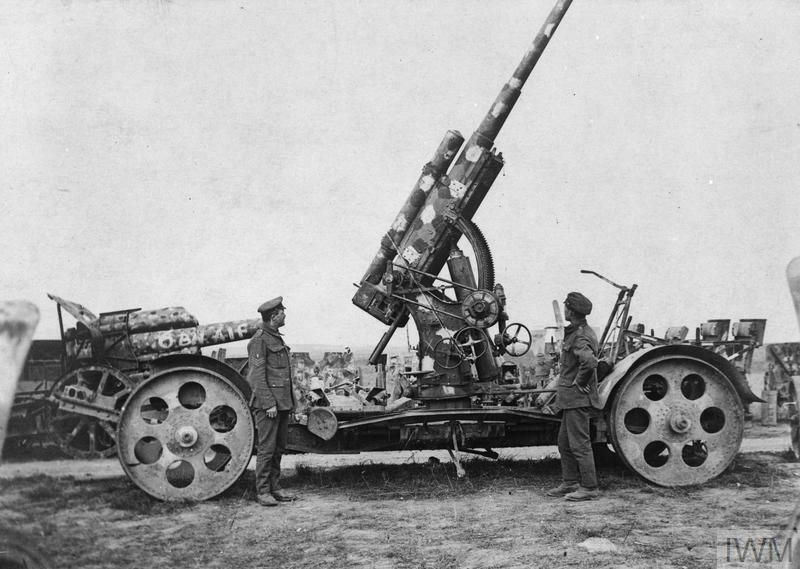 On 3 March 1916 he was taken on strength of the 22nd Machine Gun Company. 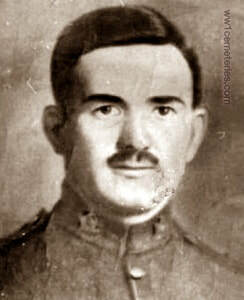 He was promoted to Sergeant on 30 September 1916, to Second Lieutenant on 7 February 1917, and to Lieutenant on 13 May 1917. On 3 June 1918 he was gassed and admitted to hospital, resuming duty on 24 June 1918. 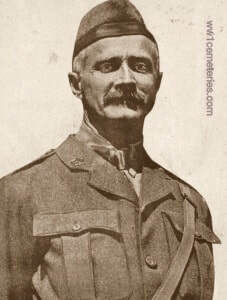 He was killed in action on 4 July 1918 at Villers-Bretonneux. 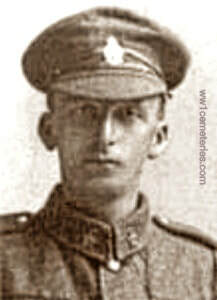 371 Private, F. Findlay witnessed Roland Shelley's death; "On July 4th, we'd just attacked at midday at Villers-Bretonneux. An officer, Mr Kershaw, got wounded and taken to a D/S (Dressing Station), Mr Shelley came and relieved him. As he was taking over, a sniper got him in the head killing him outright." Roland was taken back for burial in the Communal Cemetery Extension at Blangy-Tronville, his grave being concentrated into Longueau British Cemetery after the war. 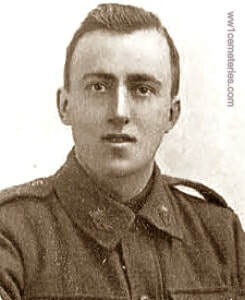 12th June 1918, aged 22. Son of George Pragster Wyett and Hannah Louisa Wyett, of Kardella St., East Malvern, Victoria, Australia. Native of Beaconsfield, Tasmania. His headstone bears the inscription; "Though Lost To Sight, To Memory Ever Dear." 30th May 1918, aged 32. 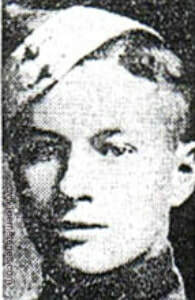 Son of Mrs. H. A. Yuille, of 28, Summerhill Avenue, Toronto, Ontario, and the late Mr. H. A. Yuille. His headstone bears the inscription; "God Shall Wipe Away All Tears From Our Eyes." (Biblical, slight variation on Revelation 21:4, replacing 'their' with 'our'.